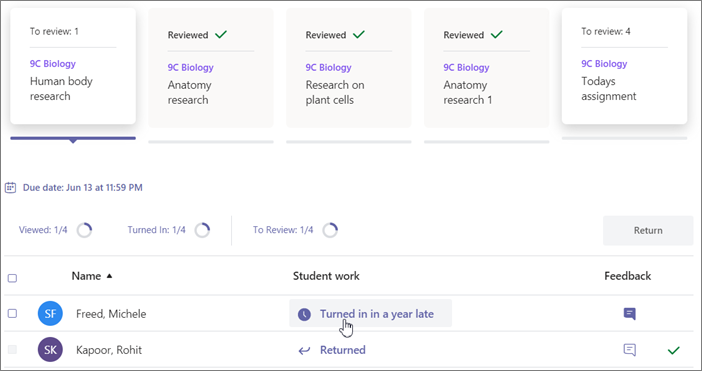 Use Review in the Assignments tab to open and review student work in full-screen mode. You can also search for an assignment by keyword in the search bar. Select Review in the Assignments tab. The assignments appear as cards. Select the expand icon to open a full-screen view. Select a document under Student work to open it in full-screen. 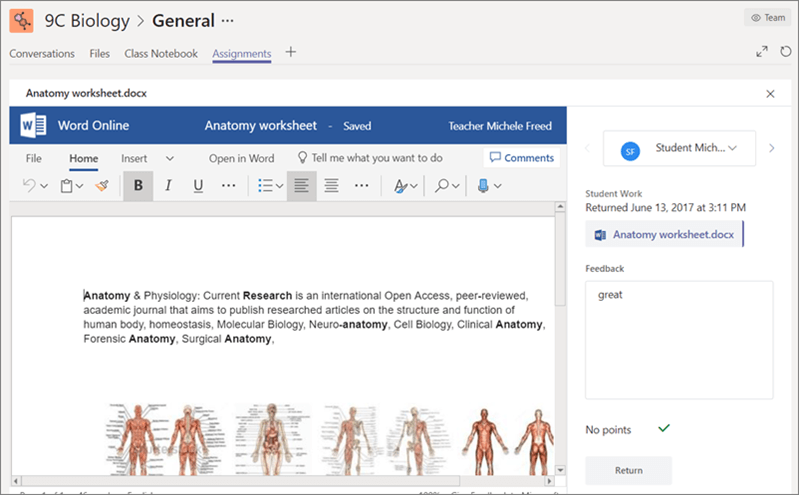 The students assignment should open in the window for you to edit, or if there are multiple files you can select the one you want to view by selecting them from the Student work section. Add any feedback or scores in the boxes to the right of the document. Select the arrows next to the student’s name to move to other students on your list. Your edits will save automatically. Select the X button when you’re finished reviewing students' documents. Tip: Select Close again to exit full-screen view.